When we use to talk about Tiger Woods and Phil Mickelson it was Woods who would be soaring while we would watch Mickelson fall apart at the end. Well those roles are reversed as Woods had another major meltdown while Phil Mickelson soared with a great round to capture the win at Pebble Beach. For Michelson it had to be bitterseet considering all the times he would watch Tiger Woods come back for wins against him. This time though it was Mickelson who made the charge and got the win. For Tiger Woods it was the same thing he has been dealing with lately a collapse down the stretch of a golf tournament. His putting failed him again and many people wonder if Tiger Woods will ever regain his form. From what we have seen so far it looks like he has a ways to go. 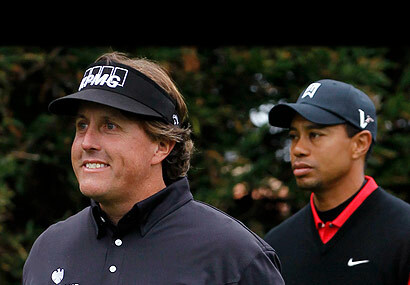 Tiger Woods may need help from a sports psychologist to help him get his head back in the game. Many people think he may never be the same Tiger Woods and that is very possible considering what we have seen so far.